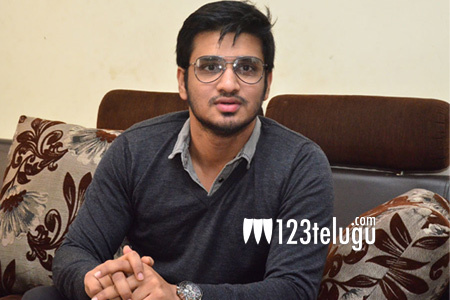 Whenever there is a Nikhil film coming up, there is a huge curiosity all over. The young hero’s latest presentation is Ekkadiki Potavu Chinnavada which will hit the screens this Friday. On this occasion, we caught up with Nikhil for a detailed interview. Here is the transcript. How tense are you about the film’s release ? I am very scared and hugely tensed about the release. The situation of currency ban is slowly getting better and I feel that watching movies is the cheapest form of entertainment and hope that people will appreciate my efforts in large numbers. Tell us about the film ? When Anand came to me with this different subject, I got hooked on to it right away. The film is a complete love story with many fantasy elements attached to it. Looks like there are many heroines ? Yes ! there are very close to five heroines in the film and some of them have been kept as a secret. The way Anand has narrated the film with enough entertainment and suspense is just amazing. Both these films are poles apart. As the music director of the film is the same, you might get a slight feel in the film. None of the factors resemble Karthikeya. I play a graphic designer who works in the VFX department of Baahubali movie. I have a very interesting role which has some amazing scenes. Especially, all my scenes with Vennela Kishore have come out quite well. His role is hilarious in the film. About the delay in release ? We halted the film for about a month because of our DOP. Then, we did not find our fourth heroine and the film was stopped again for a month. All this delayed the film. Reports about interfering in the film promotions ? Once the script is locked after telling my kind of changes, I never interfere in the creative stages of filming. But at the same time, I am very aggressive when it comes to promoting my film. I already told this to my producers and am doing my bit to take our film forward. How do you keep selecting such different films ? From the past few years, I have earned an image of doing different and interesting films. I don’t want to loose that image and am selecting film with utmost care. That is also the main reason that I have only one release this year. What kind of films do you want to do in the future ? The tastes of audience keep changing in every three months and I want to do films which the audience like me seeing in. My film with Sudheer Varma is on the floors now and I have a film confirmed with Chandoo Mondeti which will go on floors next year.